Q: How do I register/apply? A: Download the application form on this website under ‘Apply’. Fill it in and send it to the address indicated in the application form. Q: Do I have to send payment immediately with my application form? A: No, the Blas team will first review your application and make sure you are a good fit for the programme. We may write back with further questions, or send you the good news that we would be happy to offer you a place! Once you receive confirmation of your acceptance, you can then transfer payment. A: Check the scholarships page for details. Q: What is the climate like in Ireland? 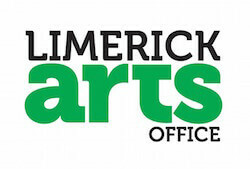 Q: What are the internal distances on campus at the University of Limerick? The Irish World Academy is on the North Side of Campus and right next to the Pavilion restaurant. Students can easily walk to the main part of campus in 10 minutes using the Living Bridge. A: Free internet access is provided to Blas students in the college library and free wifi is available in the Irish World Academy. Q: How do I get to Blas? A: Check our contact section for a map to the Irish World Academy. We are accessible from Limerick City by the 304 Bus line which goes approximately every 20 minutes. The Dublin Coach green bus also has a stop on campus (visit www.dublincoach.ie for timetable). Q: What is the currency in Ireland? Q: What is the age limit for Blas? A: The minimum age for participation in Blas is 16. Q: Should I bring recording equipment? A: Yes, it would be a good idea to have recording equipment such as a minidisk player or MP3 player. However, please note that permission to use recording equipment during class or Blas concerts is at the tutor’s/artist’s discretion and should not be assumed. A: Yes. We do have a few bodhráns (Irish frame drum) available for student’s use during Blas. Q: Are towels and bedding provided in the accommodation packages? A: Yes. The accommodation also has TV, fridge & cooking facilities as standard. Check the accommodation page for more details. Q: Can I book accommodation in local hotels/B&B’s through Blas?